I'd love to do a DNA test. 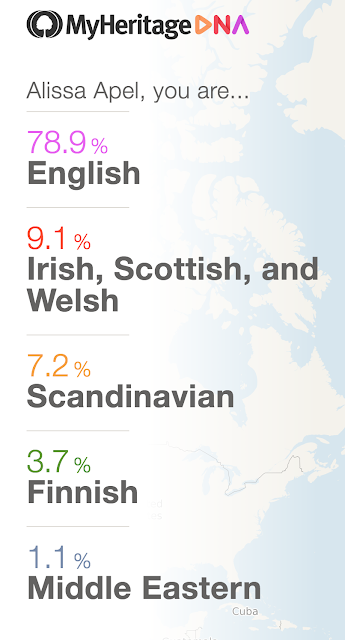 It would be fun to know where I come from though it doesn't really matter. I am just curious like you. I always wanted to do one of those DNA tests too. I'm really a mixed bag, so it would be nice to narrow it down a bit. That's cool that you had yours done and were able to get more clarity about your ancestry. The stuff they can figure out through DNA is so fascinating. 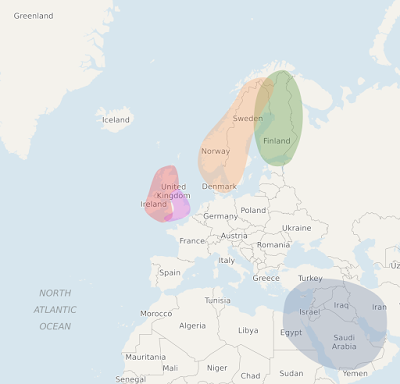 I'm pretty connected with my family history, and I'm pretty happy with what I know. My grandfather just hit his 100th birthday, and most my grandparents have made it well into their 90's, so at least I know what to expect on length of life, eh? There's definitely value in knowing where you come from. That is so interesting. Thanks for sharing it. I really need to it. I should try this as well. I have heard what my lineage is but I wonder if it would be reflected that way or not. Pretty neat! That is really interesting! I've never really know where I am from, it's really cool that you found out. That is really cool. I am mostly English as well. I would love to have this done someday. I have my family tree on Ancestry.com. It is amazing to have a DNA test to find out where all ancestors come from. That's really interesting to find out and what a unique gift! :) I'd never think of giving that haha..